« Nach 20 Jahren endlich Kundin geworden, aber die Stauballergie wird schwierig! Zum vollständigen Artikel: Klick hier oder auf Grafik. 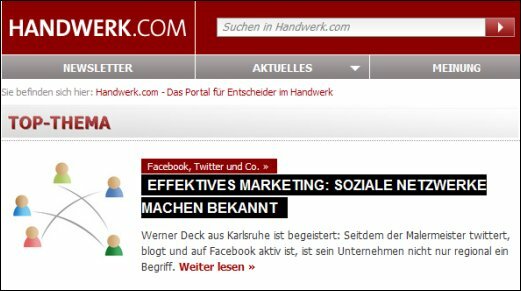 This entry was posted on Dienstag, September 7th, 2010 at 07:13 and is filed under Twitter, Facebook & Co. Social Media. You can follow any responses to this entry through the RSS 2.0 feed. Both comments and pings are currently closed.